Wheel loader or scoop which is known by many other names like front loader or skip loader is heavy equipment which could be stated as a genre of tractor. It is a multi-purposed machine. Mostly it is mounted on wheels, sometimes on belts or tracks. It has a wide square bucket attached to the front part of it. This metallic heavy scoop is used to lose material from the ground, such as mud, sand, clay or asphalt, and tow it from one place to another without pushing it across the ground or creating mess. A loader is also commonly used to transport piles or dumps of material from ground level to load into trucks or sites on altitude. In cold areas of world these are also used to move snow from roads and pathways to clear them to open for traffic. These are also used as snowplows with an additional attachment, but commonly have a bucket or snow carrying basket, which can also be used to put snow into the back compartment of a snowplow or dump truck. 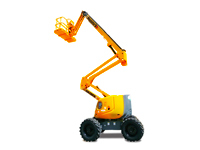 In industries these are used to shift raw material and load a job to the machines. Loaders are not found efficient or appropriate instrument for digging the solid soil. But for shifting material it was found the best. Japanese wheel loaders include Komatsu, Kawasaki, Caterpillar and Volvo L70C.These are well known for their high efficiency and reliability. Japanese used machinery is also an option to consider for those who want to buy wheel loaders for their construction sites. 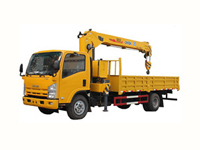 Car Junction is one of the oldest used automobile supplier, so you can contact our online customer service representatives for any further query regarding wheel loaders.